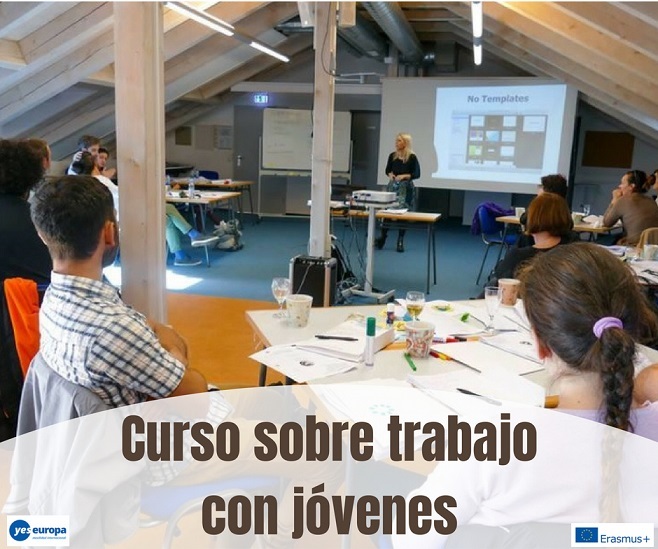 Apúntate ya a este curso sobre trabajo con jóvenes que tendrá lugar en Alemania en octubre. Participarán jóvenes de nueve países europeos con el objetivo de adquirir nuevas competencias y conocer buenas prácticas para mejorar las metodologías del trabajo con jóvenes. Youth work can greatly contribute to young people’s personal and social development and as a result the society also grows when young people are well equipped with competences that can have a positive impact in their lives and their communities at large. There is a strong motivation for further improvement within the sector and there are a lot of significant efforts being done throughout Europe, on national, regional and local level, to enhance the quality and recognition of youth work. We believe that youth work can be better recognised by measuring its real impact and effects on young people’s lives. Often, youth organisations focus on the quantitative and not on the qualitative outputs. In order though to ensure the credibility and the real value of youth work, a well-developed quality assurance framework is needed. For this reason, the training course LevelUp! aims to gather youth workers, youth policy makers, youth educators and youth leaders in order to work through the exchange of best practices, experiences and expertise on the development of a common quality assurance framework that addresses certain needs of young people that have been identified in all the partner countries involved. • Defining the main framework, working principles and methods of youth work in Europe. 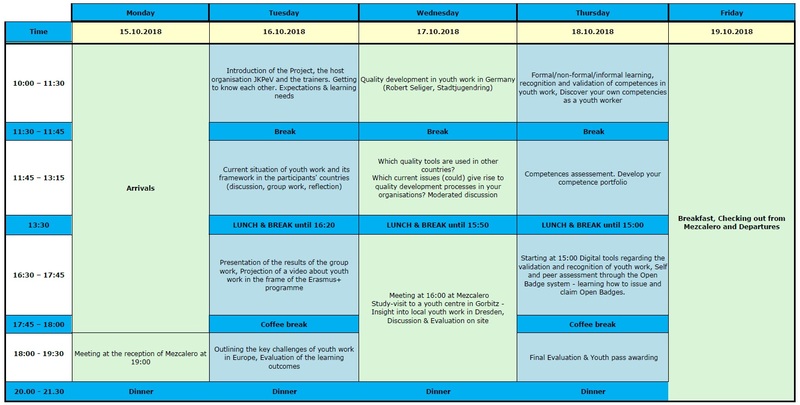 • Identifying the main challenges of youth work in Europe and the participating countries (needs analysis) and working on addressing the needs of young people at local and European level. The participants are expected to contribute to the course putting as a main priority sharing their knowledge, best practices and experiences regarding the topics mentioned above. The participants will be invited to reflect on their day to day work realities, as well as on the learning process during this course. Subsistence, lodging and programme costs will be provided and paid by a grant from the National Agency of Germany of the Erasmus+ Programme. Participants should arrange by themselves their insurance. Please contact your local Health insurance provider to obtain one for free. 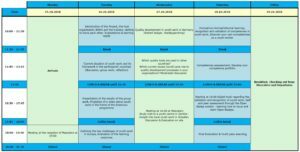 According to the new Programme Erasmus+ (2014-2020) there will be a refund of the whole amount of the real travel expenses according to the approved budget for each participating country (275€ for participants from Spain). If you decide to stay longer (maximum four days), you should first inform the project coordinator and you should also take into consideration that you are responsible to cover your own living expenses for the extra days of your stay in Germany. All participants will be reimbursed only after submitting all receipts, invoices and original tickets and boarding passes and after filling out the mobility tool e-report and the final evaluation form. 1. Please send your application form, CV and motivation letter to asociacionbb@gmail.com. Remember to write in the motivation letter that your sending institution is “Asociación Building Bridges”. All documents written in english you can send to: asociacionbb@gmail.com with subject “YE Germany, MYRTO.YOUR NAME.YOUR SURNAME“. We give you creative ideas about how to create a good CV in English.